When Ferrari replaced the 458 Italia with the 488 GTB, the decision to switch from a naturally aspirated engine to a turbocharged unit to improve both performance and fuel economy was a controversial one. Not because people were hoping for a car that was slower and dirtier, you understand, but because the 458 was almost universally regarded as one of the best Ferraris ever and it was feared such a significant change would lead to a car that was less exciting. In most respects those fears proved unfounded, even though the 488 didn't meet with universal approval. 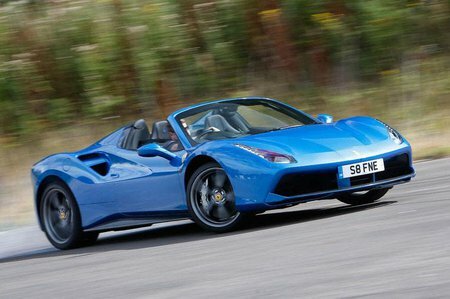 But now we have this open-top version, the Ferrari 488 Spider, which has the potential to both address the problems and create new ones. Like the GTB, it has a 3.9-litre twin-turbo engine that's connected to a seven-speed paddle-shift gearbox and sends 660bhp to the rear wheels. And while the Spider is slightly heavier because Ferrari has had to add stome structural stiffening to make up for the loss of the fixed roof, this is still a car that can blast from 0-62mph in 3.0sec and reach 202mph. 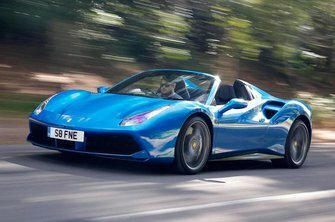 Read on over the next few pages to find out how the Ferrari 488 Spider compares to the GTB and rivals such as the McLaren 650S Spider.